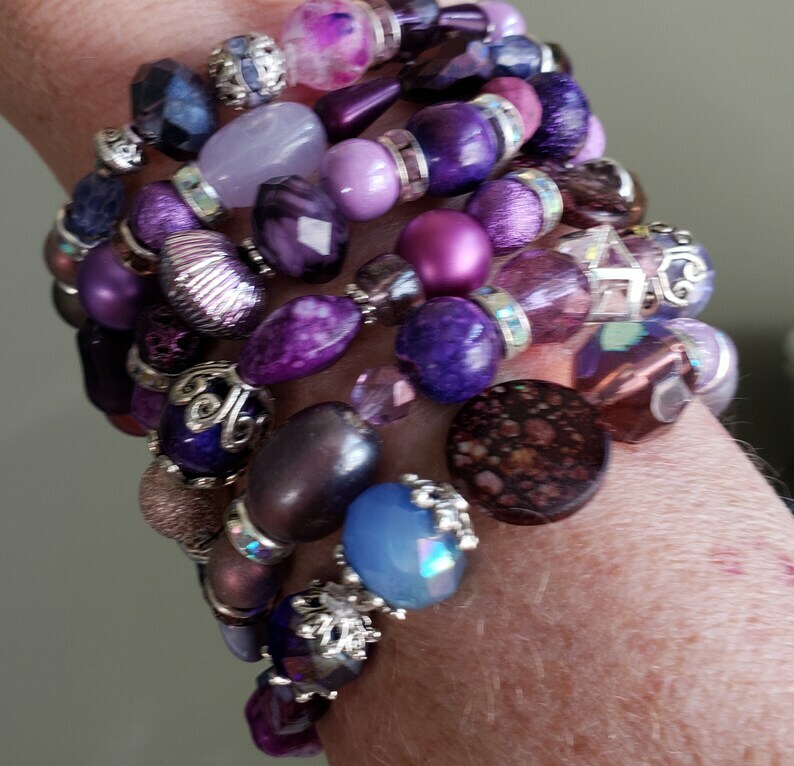 Six handmade bracelets, all lovely shades of purple! Wear all six together for a striking look, or wear them separately. Perfect for the LSU or East Carolina University (ECU) fan in your life! Will fit up to an 8" circumference wrist. I can make these in any length you like, just send a convo to request a special length.